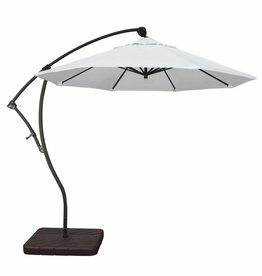 A cantilever or offset umbrella is by far the most versatile patio umbrella available. If offers the flexibility of 360º shade allowing you to easily move it where you need coverage. This is perfect for poolside relaxing, dining areas or seating areas. The tilting capability provides additional sun protection no matter what time of the day you are outside. 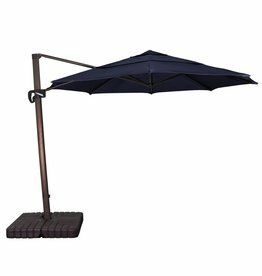 Cantilever umbrellas are available in a wide variety of sizes and shapes - from a standard 8' octagon to a generous 10' x 13' area (that's the size of a small patio!). We proudly offer the top brands in outdoor umbrellas including Treasure Garden and California Umbrella. Visit our store to see our full line of offset umbrellas. Special orders are available so that you can customize your umbrella to coordinate with your patio furniture and outdoor decor by selecting the right Sunbrella, Outdura or Pacifica performance outdoor fabric. Don't miss our Easter Sale! April 12 - 20! 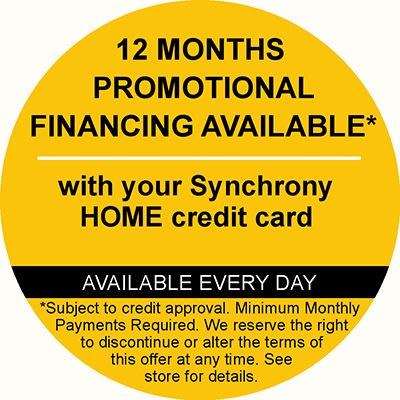 Visit our showroom to see our full product offering - we have so much more in the store!